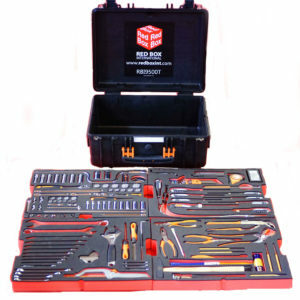 We are please to offer a couple of fantastic hand carry kits, which have been designed with the mobile MRO in mind. Each of these kits come in a heavy duty, resin coated carry case and weighs in at less than 15Kg, meaning they can be carried on board commercial aircraft as hand luggage. 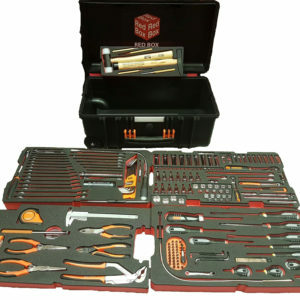 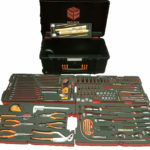 In addition, each of our kits include a wide range of aircraft tools. 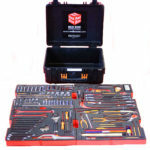 These range from 160 to a huge 272 aircraft tools, providing you with all you need to complete even the largest tasks. 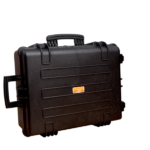 Contact our team today to receive a quote regarding our range of hand carry kits and we will be happy to help.